Okay! All the remaining problems have been sorted out . . . I think . . . and I hit Go on Amazon and Draft to Digital. 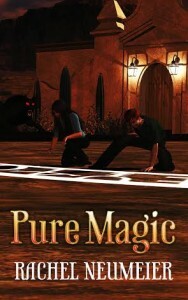 So PURE MAGIC should be appearing everywhere in the next day or so, in ebook form. Tomorrow: Figuring out CreateSpace. Hopefully I will get that all in order in one fell swoop tomorrow. Otherwise, I sure hope it will all be done at least by Monday. Wonderful! I’d better finish up my current book real quick and push the rest of my to-read pile aside. :D Your sample chapter has me so excited to read this! Oh, who am I kidding. Will wait eagerly. It appeared at Amazon last night, ‘unavailable for sale’. This morning I bought it. wondering what to read next!! I just bought it through Kobo, so it’s available there to “the rest of the world” too. As soon as I finish the last two Ile-Rien books I’ll read it, so no immediate reaction is not a reflection of how much I’m enjoying it. I am done reading it! It was great. Non-stop action. Absolutely loved what happened towards the end(hopeless romantic here). And then at the end I was like NOOOOO!!! That’s so long of a time!! LOL. Thank you, everyone who’s ordered it already! Rachel D, wow, that was fast, I’m so flattered you zipped through it like that! I finished it today. Wow. I look forward to what else you’re doing with the world and the characters. After the short stories I rather expected the French guy to have trouble (not a spoiler, the book is NOT about that, it’s just a passing mention) but I expected it to be more of a ‘not Dimilioc” trouble. I really liked Justin and the small details like blood actually burning, and the way Justin sees things mathematically. The formatting was just fine, also, unlike the story collection, which I tried redownloading today, but still got the uncorrected copy. I will have to contact Amazon about how to get an updated version. Oh, one continuity error I spotted: Grayson is blamed for starting the war, when it was Thos. I stayed up basically all night to read it. And I have even went back and to reread the parts that I bookmarked. No, it was Grayson who started the war all right. In the abstract, it’s a bit surprising he managed to live through it, but I suppose every single member of Dimilioc would be willing to sacrifice him/herself for him. 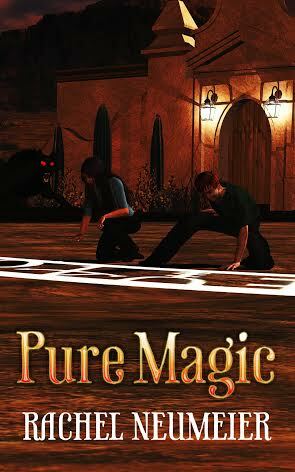 A short story about Etienne in Denver would not be out of place, as well as one about the thought-to-be-dead-but-we-haven’t-seen-the-bodies victims of the PURE MAGIC villain (no spoilers). Are you sure? I got from the text, like where the Toland kids quote their dad as saying Thos might have started the war but Grayson finished it, that Thos started it. Although they also quote dad as saying Van Heusel as starting it twenty years before anyone realized it was going on. At any rate I had the definite impression Grayson was a relatively new Master, and he’d taken it during the War, which had already started and that Thos was one of the moving forces behind the start. Well, one of the short stories is — no spoilers — set very early in Grayson’s time as Master, and I certainly didn’t get the impression that the war was already on then. I’m glad you care enough to debate the details! Here’s the Official Version: Thos didn’t start the war on purpose; by not responding aggressively enough to vampire incursions on black dog territory, he encouraged further incursions until the choice Grayson faced was either to cede a lot of power and territory to vampires or take what was then an undeclared war to a new and more deliberate level. Vonhausel’s actions were a contributing factor, as long before Grayson became master he had allied with that vampire — at least that one — and unwisely shared information with it and perhaps deliberately assisted it against Dimilioc.